A new package, created to simplify data centre architectures for smart factories, was released this morning by Ocado Technology. Named Kubermesh, the package uses container-based technology and the Kubernetes system to create an on-premise private cloud architecture. 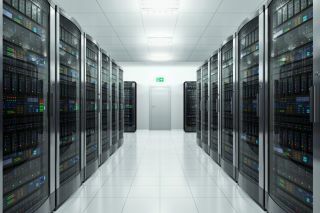 In it, desktop computers can be turned into nodes, supporting the compute or storage functionality usually delivered by high-performance servers in a data centre. Ocado Technology is a division of Ocado, the online-only supermarket. The company says its nodes are ‘fault-tolerant, secure, flexible’, and designed to process huge amounts of real-time data that gets created in smart factories. One of Kubermesh’s advantages is that it removes the need for dedicated data centres. It does so by distributing data centre functionality in a mesh network of nodes. It says that this approach can dramatically save energy and reduce both capital and operational expenses that are usually associated with high-performing servers. Ocado Technology also announced it will use the same technology to build an MMO game (massively-multiplayer online game) to teach secondary school students the principles of AI. "Kubermesh is an elegant and cost-efficient solution to running our highly-automated Customer Fulfillment Centers based on a distributed network of computing nodes spread around the warehouse rather than high-performance servers concentrated in one large data centre,” says Says Chris Dabrowski, general manager of infrastructure, operations and site reliability engineering at Ocado Technology. “This is a bold idea that has the potential to revolutionize the way companies approach on-site data centre architectures. Thanks to the power of open source software such as Kubernetes, our platform automation team was able to quickly design a working prototype and develop it further based on advanced simulations of our future warehouse automation requirements. We're very excited to continue unlocking the potential of container technology at Ocado and hope that the open source community uses Kubermesh in new and exciting ways."